“I can live for two months on a good compliment.” – Mark Twain. Let’s learn a few phrases you can use to give 14someone a compliment. 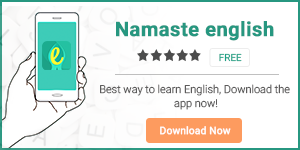 याद करें की पिछली बार जब किसी ने आपको एक compliment दिया, तब आपने उनसे बदले में क्या कहा था? Not that there is something wrong with a sweet little thank you, but it’s not that great reply either. Well, responding to a compliment can be tricky, because we don’t want to seem too proud.